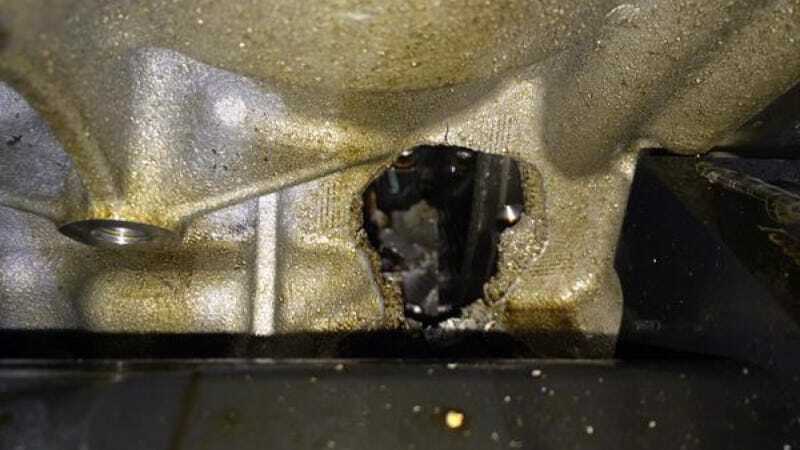 Driver Mike Hedlund captured a rare close-up of a race car's engine after it done blow'd up. This is Starworks' unlucky number 8 car in the Prototype Challenge, a gorgeous Martini-sponsored Oreca FLM09. Poor Starworks. Seriously, it's the best looking Prototype Challenge car on the grid. Hedlund was one of the drivers for the #8 PC car this weekend, which first lost about fifty laps to a bad alternator. An hour later, this happened. Poor Starworks. Ouch. That's a proper 'splode right there.